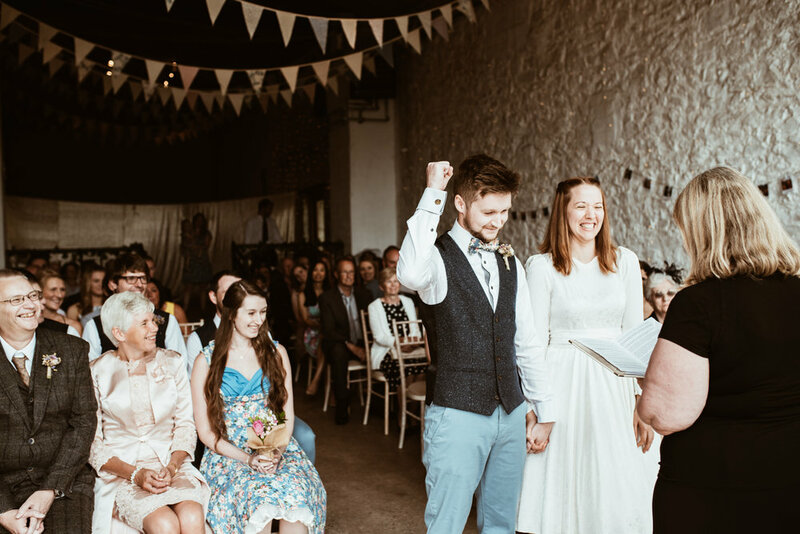 This summer I had the honour of documenting Andy and Emma's Wedding Day at Rosedew Farm in South Wales. It was a beautiful and meaningful ceremony and in a stunning location to boot. 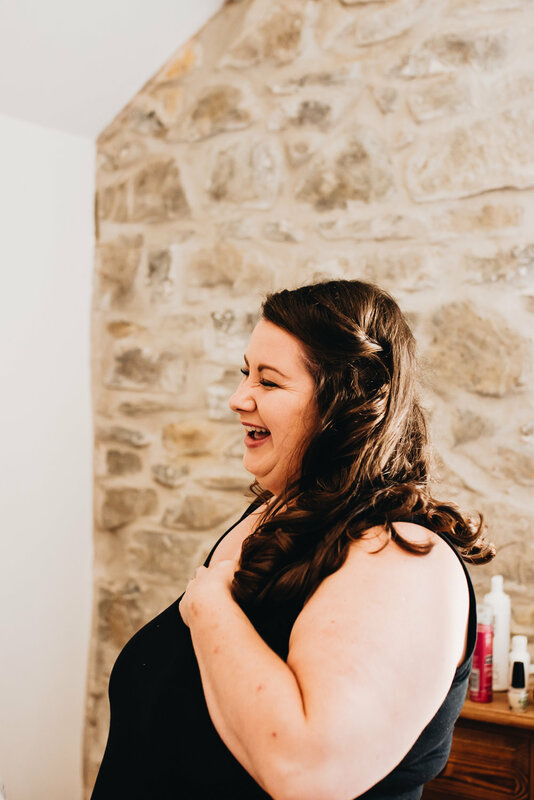 As well as taking the time in this blog post to share lots of photos from their special day with you all, I also got Emma to share a little bit about the planning process and the location, and most importantly all about that amazing Wedding Dress! 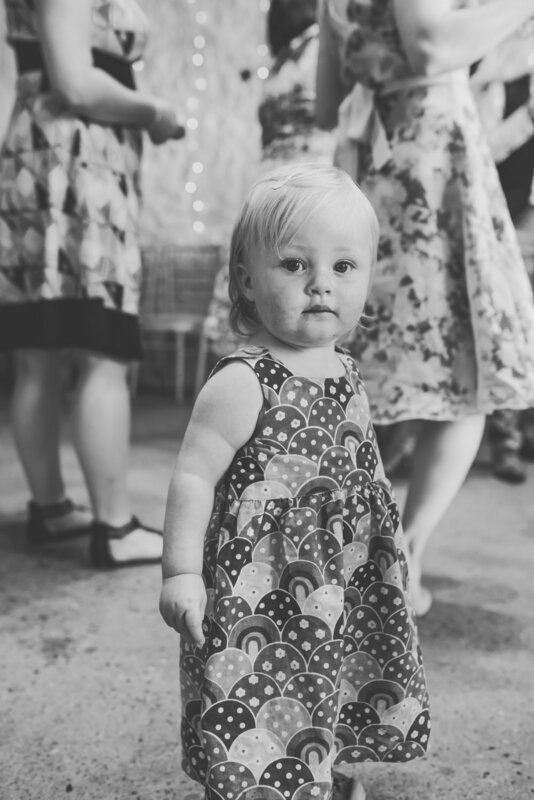 I hope you enjoy, and do get in touch if you are looking for a Wedding Photographer. 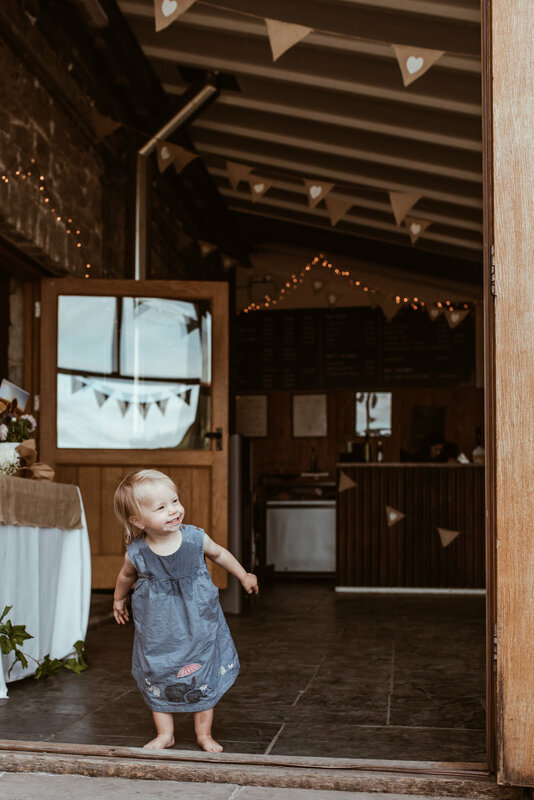 What made you choose Rosedew Farm? 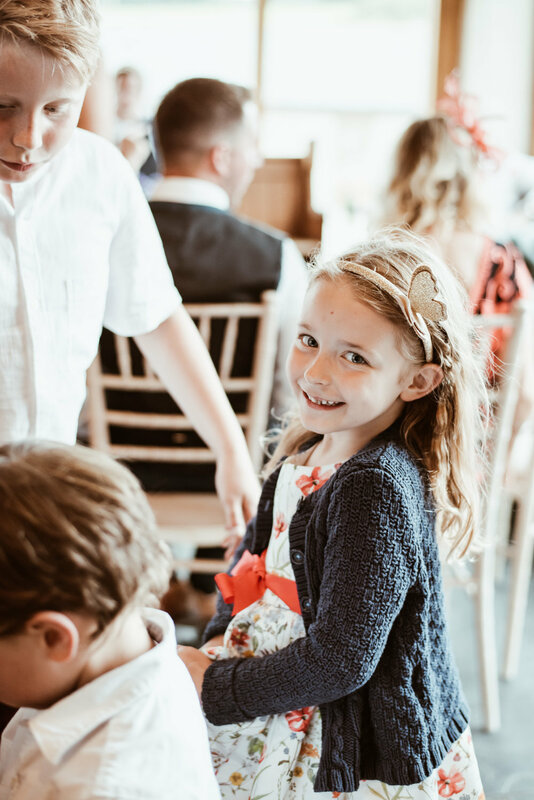 "Our main criteria for a venue was somewhere that a ceremony and reception that could take place in one location and also had accommodation on site. I liked the idea of something rustic and low key that we could put our stamp on; chair covers and coloured ribbons are the stuff of my nightmares! 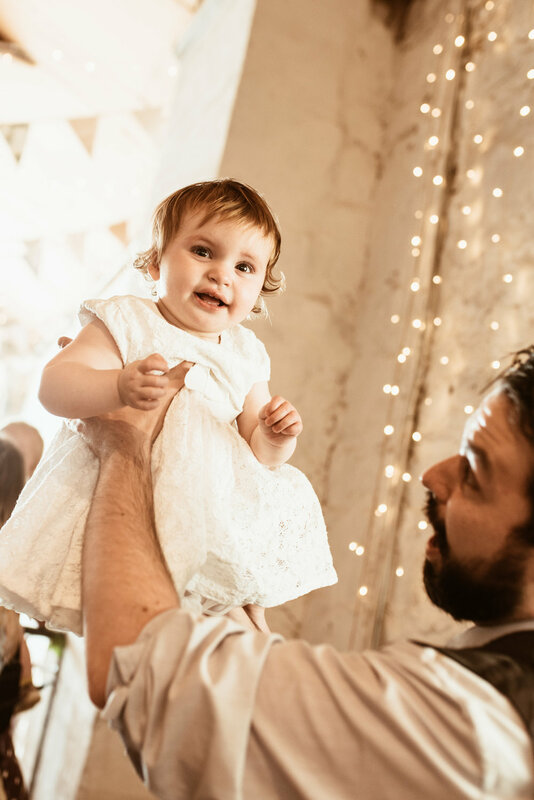 I booked a viewing for us at Rosedew and it just seemed to tick all the boxes – the staff there were really friendly and informal and it really is a “however you like” venue! 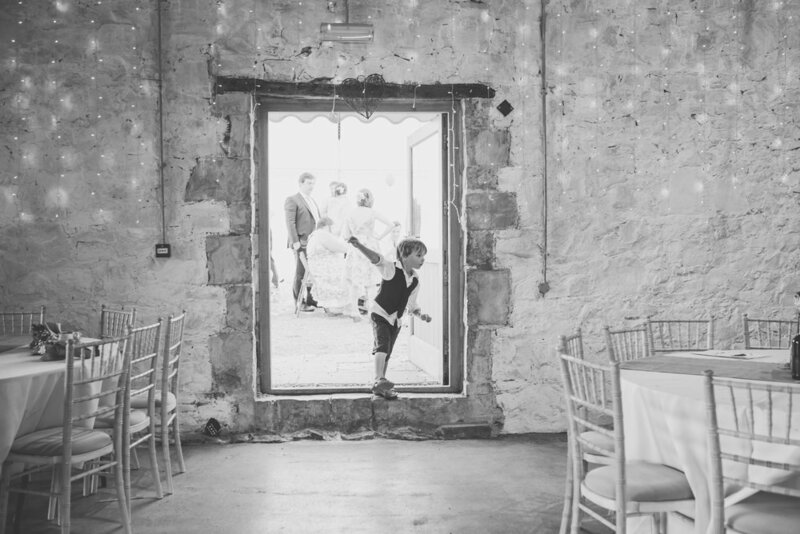 We enquired tentatively about availability knowing it was likely to be a very popular choice and were told that if we were looking for summer 2017 we’d be looking at either a Monday or a Wednesday booking as all the Saturdays are booked up way in advance. When they looked in the book however Saturday the 8th July had a space! It seemed too good to be true, so we wrote down the available Mondays and Wednesdays in July too and went home to do our sums. We had to wait a few days to find out if the Saturday really was still available and sure enough it was! So we snapped it up, giving us just 6 months to get everything planned!" As a Photographer I loved the location they choose. The barn where the ceremony was held had a huge window in the front, and fairy lights hung on all the walls, making for lovely lighting. Often churches can be quite dark, so it was ideal for me to have the ceremony in such a light and airy space. Made my job much easier! 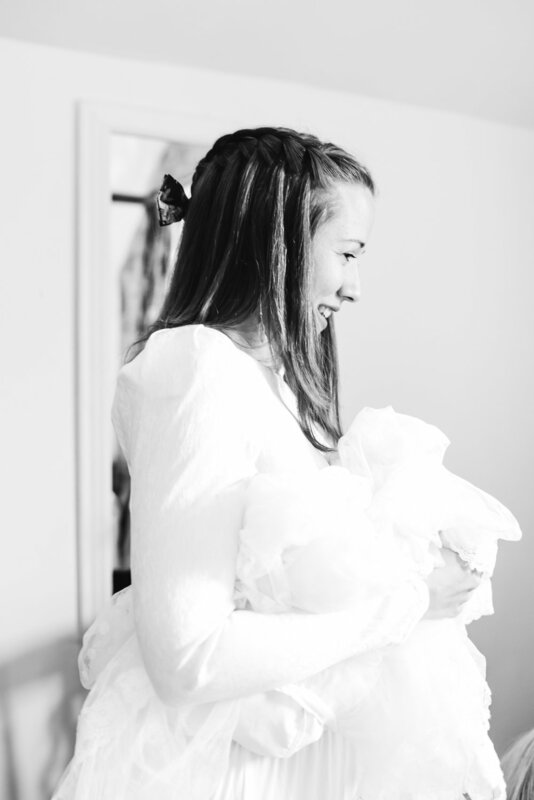 Tells us the story of your incredible Wedding Dress? 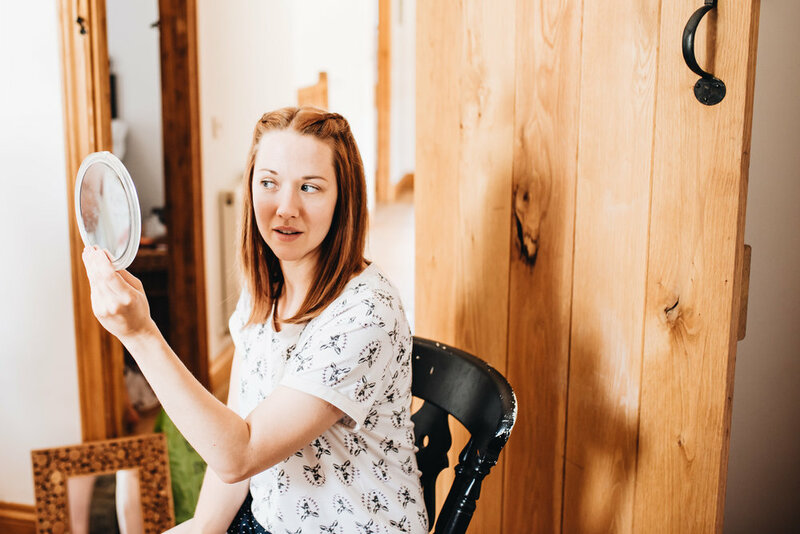 "I’ve never been a big fan of weddings or wedding dresses and going dress shopping was something I was dreading about planning our big day. Spookily my mum was sorting through some bits and bobs a few weeks after we got engaged and stumbled upon my Gran’s wedding dress. She suggested I tried it on, more for a laugh than anything else and I had zero hope of getting into it – this was after all a dress from a post war, post rationing era! But it fitted pretty much perfectly! We couldn’t believe it! 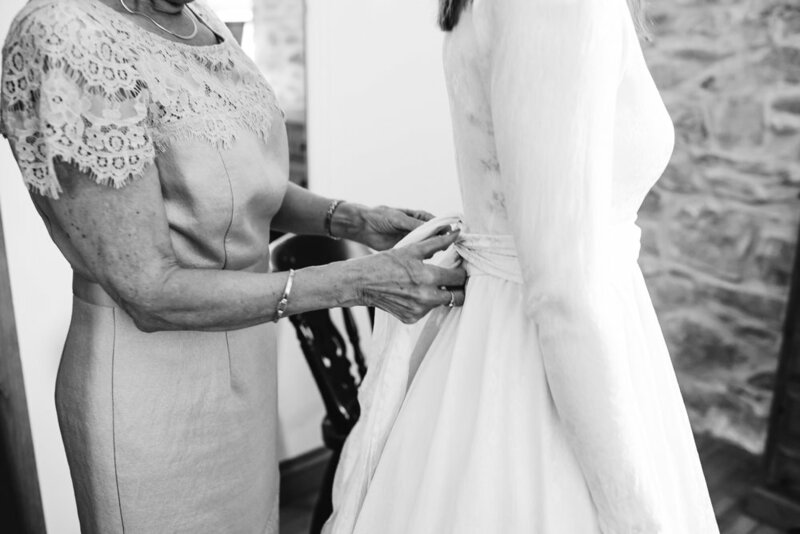 The style of the dress as it was originally wasn’t to my taste but it had some beautiful little details like the points on the sleeves and the neckline – then mum told me that it was all hand sewn by my Gran and Great Gran! 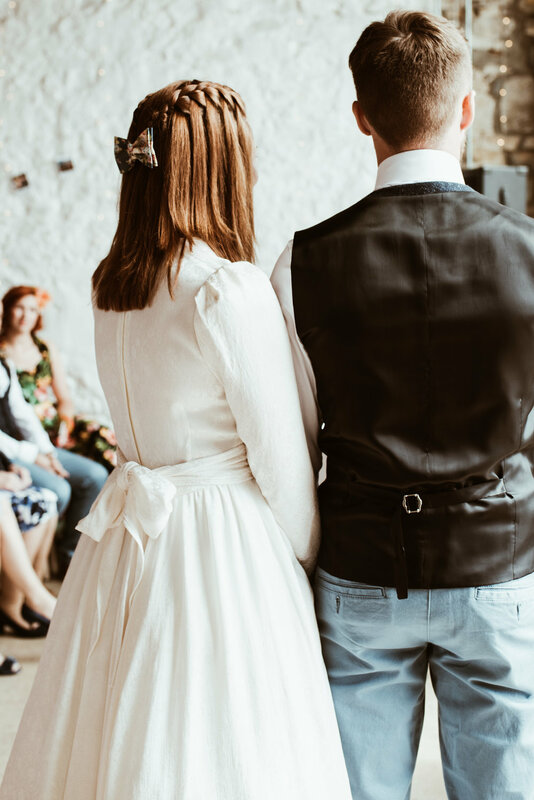 My mum suggested that she have a go at altering it slightly to make it more my style – I’d got as far as deciding I wanted a tea-length dress and we played around with pinning the skirt up and putting a petticoat underneath and I loved it! My poor mother must have had nerves of steal to take a pair of scissors to a family heirloom but she did so well and the end result was amazing! She didn’t alter the bodice or sleeves of the dress, she added a zip in the back to make it easier to get in and out of, to change the length she cleverly separated the skirt from the bodice and removed fabric from the top of the skirt not the bottom to give the fullest skirt possible meaning I could fit my petticoats underneath and twirl away to my heart’s content! She then used the spare fabric to make a sash to go around my waist. 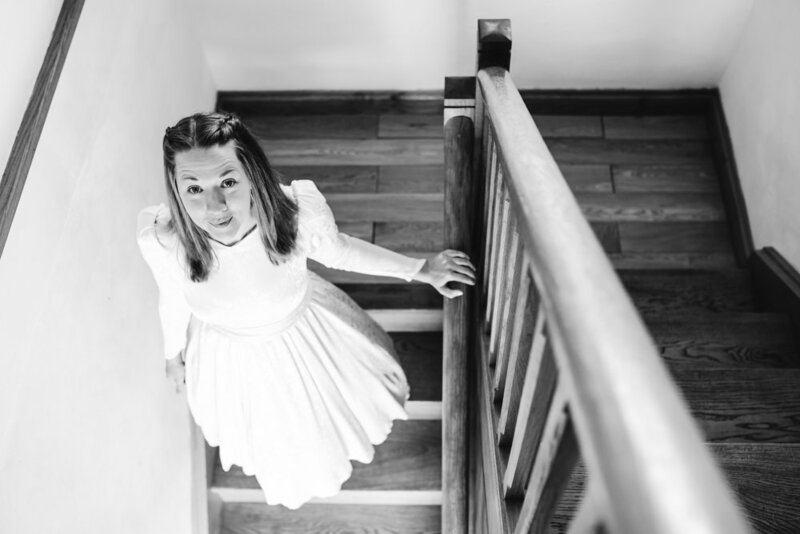 Standing there on the day I couldn’t quite believe that I was wearing the same dress my beautiful Grandmother wore on her wedding day 68 years before." Here is a photo of Emma's beautiful Grandma on her Wedding day, and Emma on her Wedding day in the altered Wedding dress. 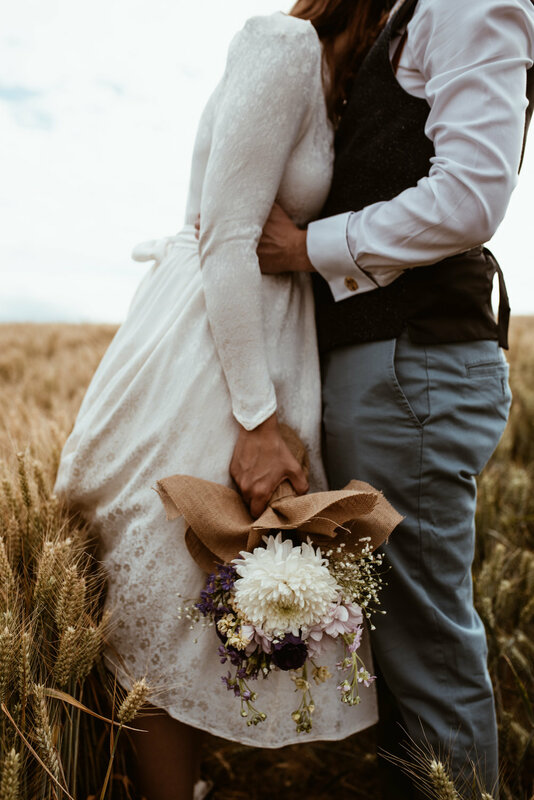 What are some of your best money saving tips for a beautiful wedding on a budget? 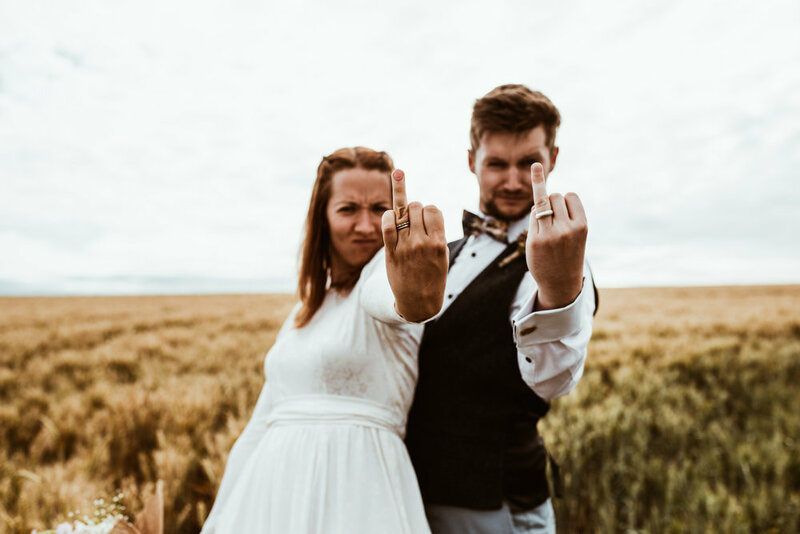 "We set a fairly conservative budget from the outset and were lucky in that neither of us had big expectations for how the day should look etc (nor expensive taste). We picked up a lot of stuff on Gumtree and car boot sales, and a lot of stuff was homemade although I was conscious again not to expect to be able to make hundreds of things given the small amount of time we had! We printed and cut all our invitations at home – we bought a personalised template from Etsy which I think was about £30 and included invite, RSVP, gift note, and info note. 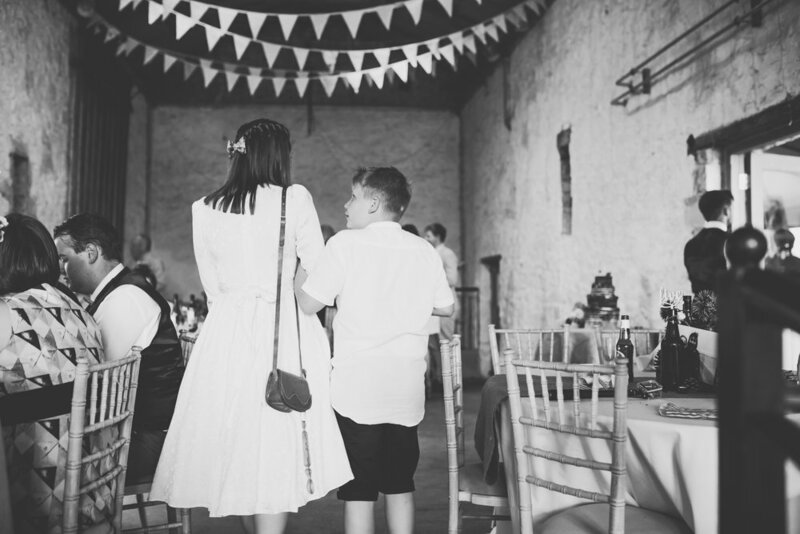 I made the embroideries for the table centres and my mum worked tirelessly to make 100m of bunting to fill the barn! Andy made a couple of the outdoor games to save us a bit of money and the rest we picked up second hand. We also beg/stole/borrowed things from generous friends – the table runners and plan were from a good friend who had them left over from her wedding, and the pinecones I foraged from my dad’s garden! We also saved a lot on flowers – all the bouquets were made from flowers we picked up in ASDA the day before. 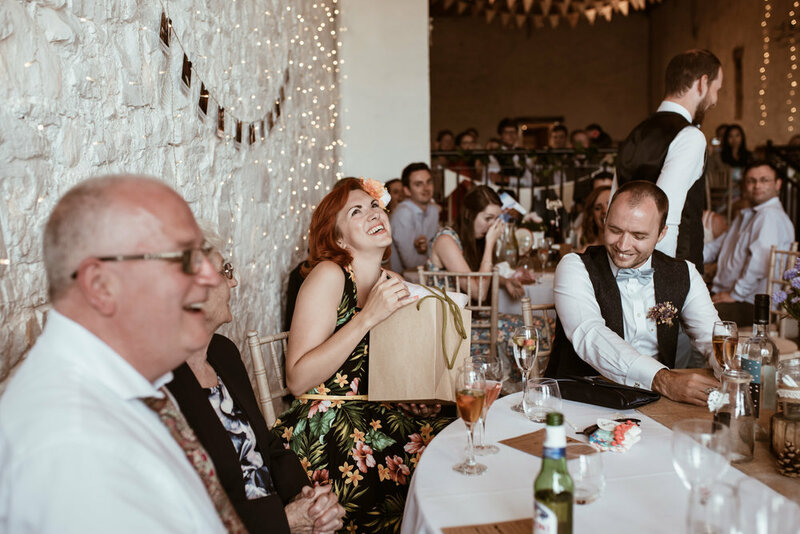 My wonderful bridesmaids mixed and matched them up to create lovely arrangements and my mum then wrapped them in hessian so they tied in nicely with the rustic theme. 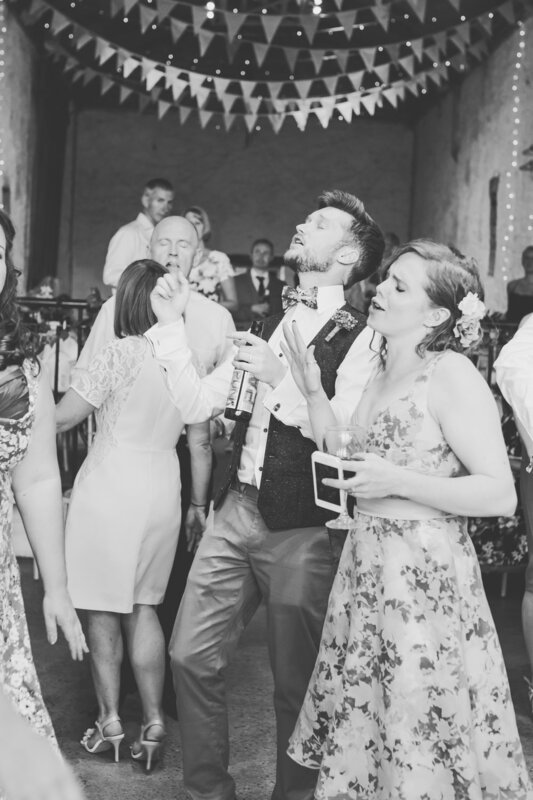 Clothes was another area we saved on – my dress being the biggest bargain of course, but we were quite creative in where we got the bridesmaid and groomsmen bits from too to cut down on costs." 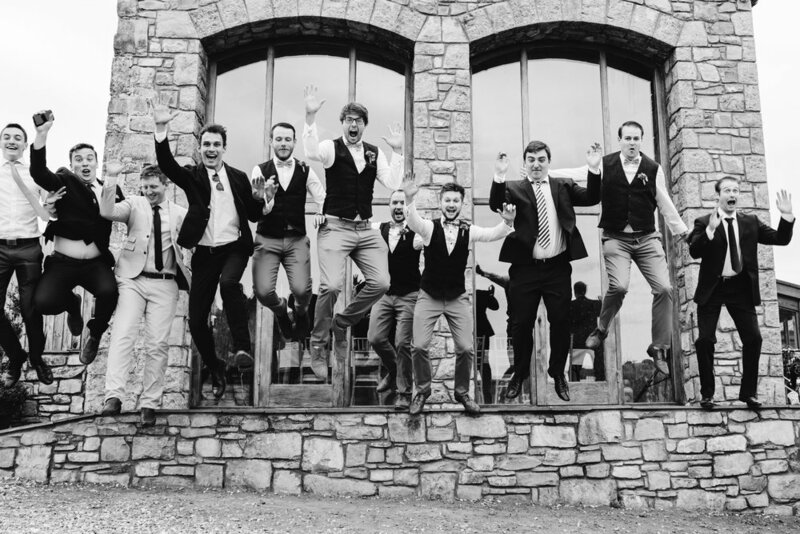 Can you tell us where the Groomsmen's outfits and the amazing Bridesmaids dresses were from? 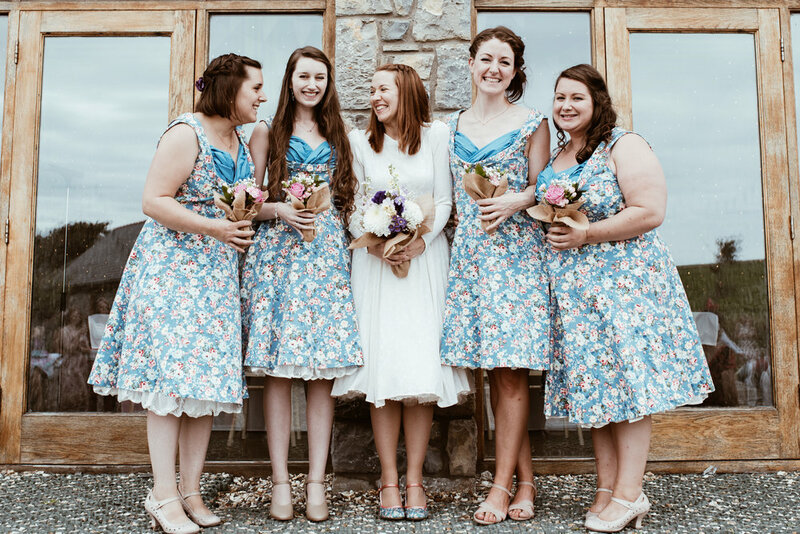 "The bridesmaid’s dresses were from LindyBop.co.uk a site that sells 50s tea dresses – I managed to order them in the January sale so they were an absolute bargain at £20 each. 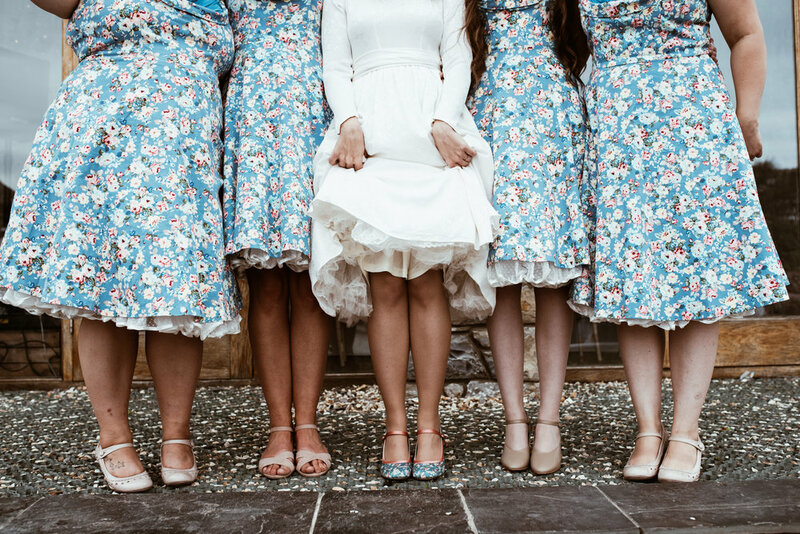 I also got their petticoats from there and they wore their own shoes, my lovely shoes were from the same site which is how they matched the girls so well! Andy was in charge of boys clothing – he knew he wanted something quite informal and colourful as any one who knows him will know he’s not one for plain! 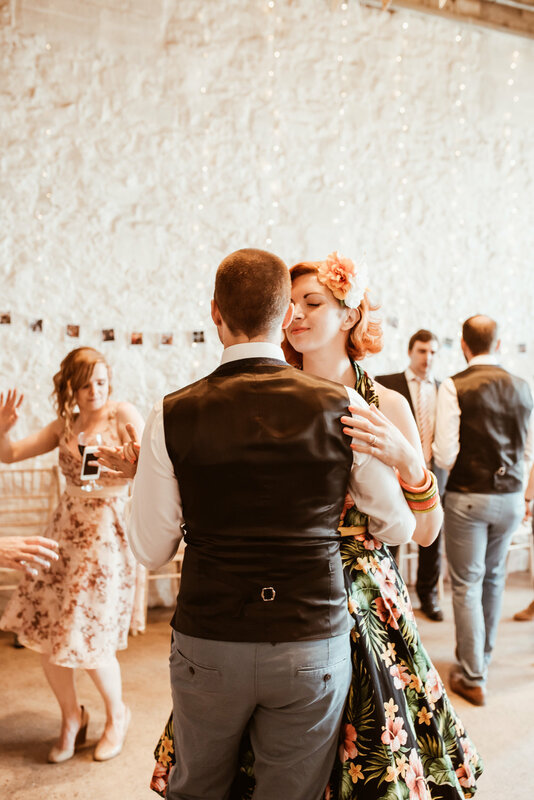 The waistcoats were from Next for £50 , and the chinos and bowties were a super bargain from Primark! (£15 for both together) Again the boys wore their own shoes, and shirts. The star wars cufflinks were ebay bargains at £3 each, and the odd socks from the odd sock company were £5 a pair. 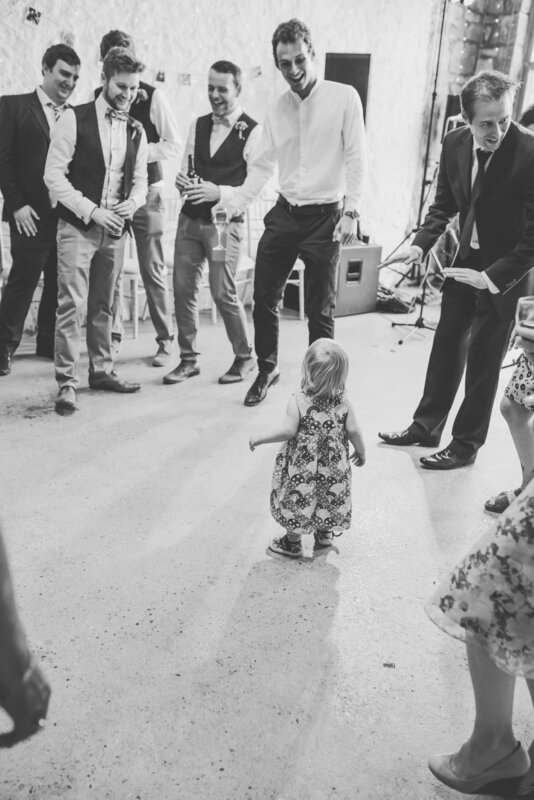 The groom’s bowtie was £15 as we wanted it to stand out from the groomsmen." Now the Wedding is done is there anything you would do differently? 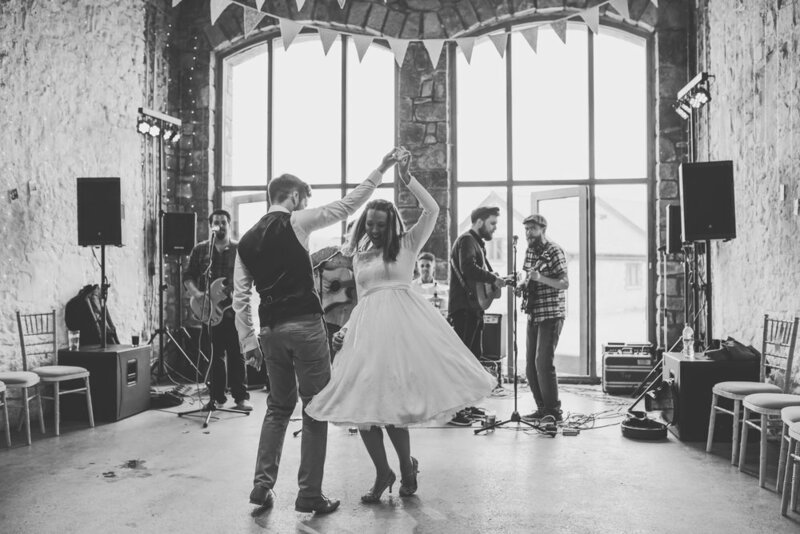 "I really don’t think there is – I know everyone says it but we really did just have the perfect day! 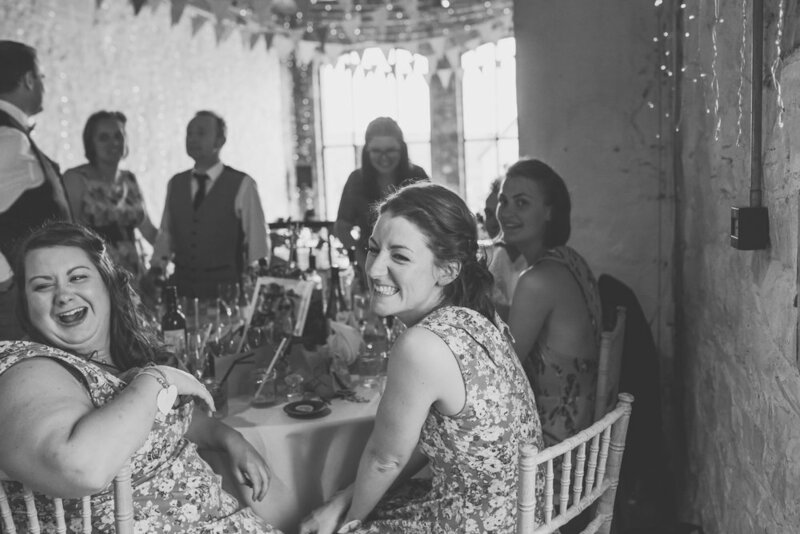 We feel like the wedding really reflected us as a couple and didn’t take itself too seriously! 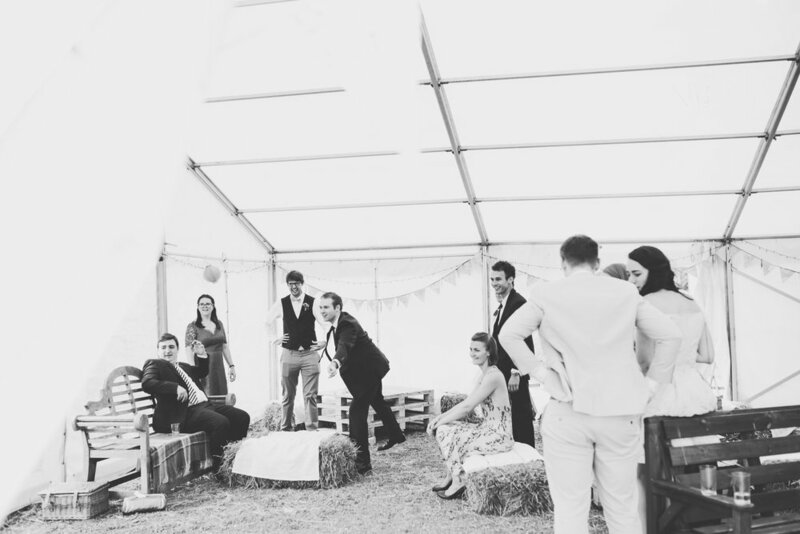 We had so much fun and in all the planning and the execution there really were very few stressful moments. 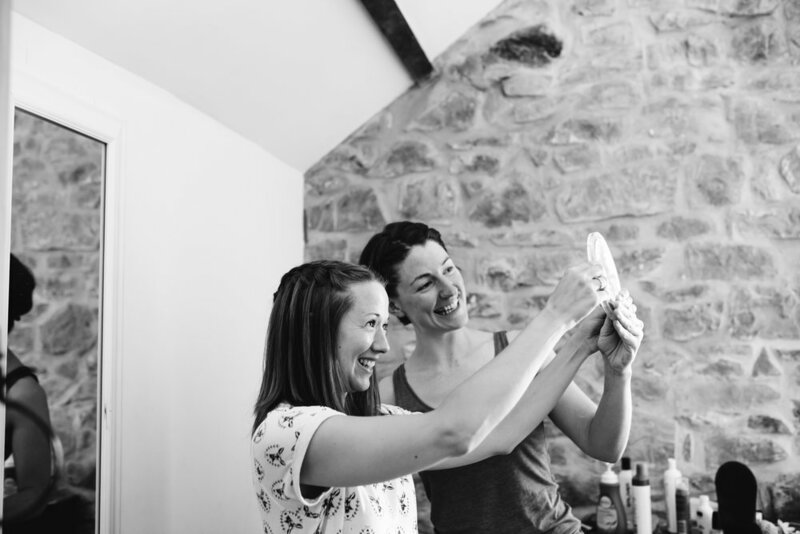 I’m super proud of what we managed to put together on a tight budget and time scale." 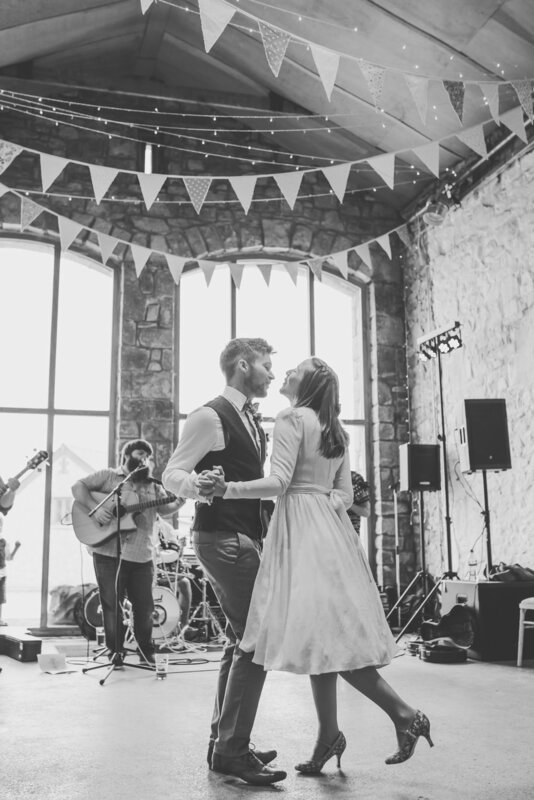 Well Congratulations again Mr and Mrs Scott-Davies, you really did plan a gorgeous Wedding and I hope the photos will bring you many smiles as you remember your special day for years to come! 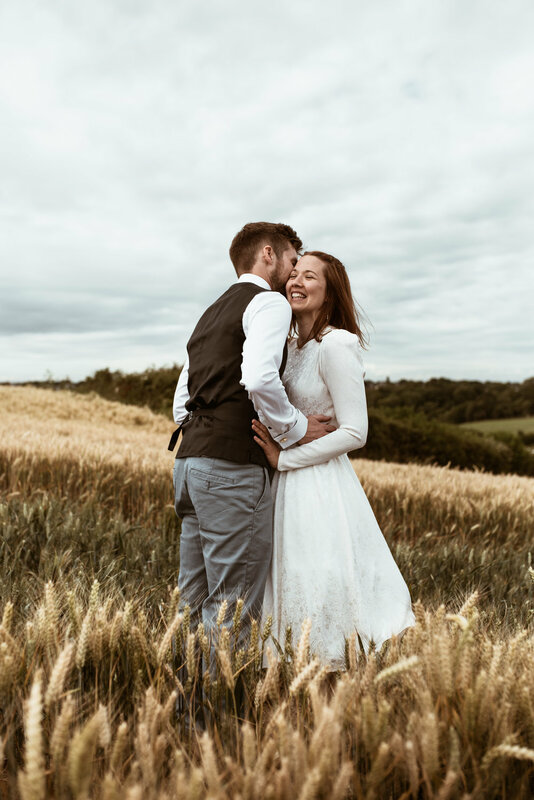 If you want to find out more about my Wedding Photography, then have a little look here and do get in touch to tell me all about your special day. I would love to be a part of it!